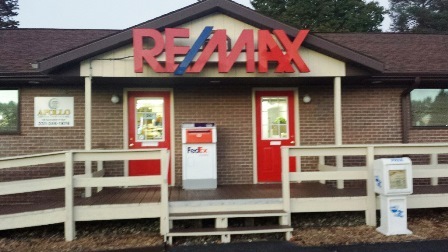 "The RE/MAX River Valley office is outstanding to work with. We excpecially appreciate Wayne Thompson, Karen O'Neal, and Dave Stout." "Thank you so much for helping us find our new house in Hart. We really appreciate everything you did to make the whole process go smoothly. We can't wait to move in!" "I was really satisfied at how quickly the whole transaction was finished. Shari was very pleasant and professional!" "Dave was very informative and made me (as a first time home buyer) comfortable. I like his tell it as it is approach. Thanks Dave." "Wayne was very honest--it's important. Job well done!" "Working with Karen was a very positive experience! I would recommend RE/MAX River Valley to anyone!" There should be more people like you! "Thank you for being helpful, hardworking and honest. We really appreciated your help. You are the best." "Cindy & I are extremely pleased with Wayne and how well you have handled this transaction for us. You have been extremely pleasant to work with, thorough and professional in your managing of the sale. We have kicked ourselves numerous times because we didn't have Wayne working for us when we first put the house on the market. Anyway . . .we finally found Wayne and all is now well thanks to Wayne and his Assistant, Karen." "Dealing with Wayne was like dealing with family!" "Excellent job--would not hesitate to use Wayne again." "I always felt I knew what was happening with showings and interest in the home and throughout the closing process. "We are very well satisfied with RE/MAX. They have always done a great job for us." "I feel the home was marketed well and we got an offer in a short time. I appreciated the monthly service reports." Taking care of red tape! "Thank you for taking care of all that fun red tape. Great job! Very happy with the home." "Thank you for your professionalism, efficiency and especially kindness. It is so much appreciated! Service at it's best!" "Working with you has made such a complicated and stress-filled experience so much better than it could have been! Thank you all so very much!" More than what we expected! "Thank you so much for helping us find our home. We are so excited! This is truly way more than we expected. It has been a pleasure to get to know you. You did an awesome job and we greatly appreciate all the work you did." "You made it so easy by taking care of all the details and keeping in touch with me throughout the time my home was listed and sold. You go above and beyond being just an agent but you become a friend that I am very happy to know. If any of my friends are looking at buying or selling, I will highly recommend you. You are great folks to work with!" "You go above and beyond being just an agent, you become a friend that I am happy to know." "Working with Shari is a pleasure. I'm looking forward to her selling our house. It was fun power shoping for a house with her!!! Shari knows the market and what small details to look for in a home. Everyone at the office was great! Thanks!" "Jeff worked extremely hard and was available whenever we needed him through the entirety of the process. "Wayne and his staff offer fair, competent and timely Real Estate services." "Wayne Thompson is a professional yet down to earth man, which I would use again to find my next purchase." "Outstanding support! Wtih us every step of the way! Market knowlege really fantastic - helped with multiple decisions. Fantastic advice byt clearly all decisions were to be ours., Felt like Shari was a friend from day one. Kept me sane during a stressful life changing chaper of our lives." "Enjoyed working with you Wayne. Stay in touch." "Very timely & smooth transaction." "Great attention to detail and very prompt responses!Loved the little return address labels - nice touch - thank you." "I greatly appreciated Wayne for all his help on buying my first home. Thank you." "Sold our home when we did not think it would happen." "We will definetley send family and friends to you!" "Shari was a pleasure to work with, she was very honest and patient with us throughout the whole process." "Everything was great! I will recommend RE/MAX to everyone." "Thank you for helping us buy our first home!" "Thanks Dave & Karen you took great care of us!" "Shari was great to work with. We hope she is available to sell our 1st home for us. Thank you."